This post is the second part of our article published last week, so if you haven’t read Part 1, please take a look here. The World Health Organization (WHO) recommends that sugar consumption never exceeds 25g/ day, and ideally it should be kept below 11g/day. However it is estimated that each person consumes 126.4 g/day on average in the USA and, in Europe, for example in Germany, the average consumption is 102g/day/person, and in the UK is 93g/day/person . This has become a huge public health concern, given that this high consumption of sugar is leading to many chronic diseases , such as obesity, type 2 diabetes, metabolic syndrome, hypertension, gout, cardiovascular diseases, Alzheimer’s disease and lower cognitive function, depression and mood disorders, non-alcoholic fatty liver disease, cancer, kidney disease, caries, etc. There really are thousands of studies showing the detrimental effects of added sugar (namely, refined fructose and sucrose). In the following paragraphs, I will go through some of these studies to explain you the relationship between sugar and some chronic diseases. Indeed, after so many scientific studies having been performed on the relationship between sugar consumption and obesity, it is now widely recognized that sugar is one of the main culprits for the obesity epidemic we are seeing nowadays. And do you think it’s only in adults? Unfortunately, we are also seeing an obesity epidemic in children and infants, even in 6-month old babies . Why would 6-month old babies be already obese?! Well, there are some hypotheses, namely epigenetics, which means what the parents ate before conception, or what the mother ate during pregnancy, affects the genetics of their kid. But also, just take a look at the ingredients list of your baby formula…do you see an ingredient (or more) that ends in “ose” (like sucrose, fructose, dextrose, etc.) or a syrup? In a meta-analysis (analysis of many studies on a given topic through rigorous statistical analysis) that included 88 studies, it was found that soft drink intake increased body weight as well as the risk for diabetes . They also found that studies funded by the food industry showed smaller effects than non-industry funded studies  (surprised?). In another interesting study, just the simple act of taking the soda machines out of a school for a year led to a decrease in obesity. On the other hand, in the control schools, where they did keep the machine, the prevalence of obesity increased . In fact, it was recently discovered that a sugar soft drink company sponsored studies to blame the lack of exercise for the obesity epidemic [58, 59]. Of course exercise is a very important part of your healthy lifestyle and you should definitely be doing it, but if your goal is losing weight just by exercising and not taking your diet into account, you will have trouble losing weight. I do believe that one of the fastest and healthiest ways of losing weight is simply giving up on sugar. I would like to propose a challenge to you: try not to eat any refined sugar for 2 months and let us know how much weight you have lost! But be careful: no refined sugar is allowed, which means you will have to start reading the ingredient list of every single product you buy, because as I said in Part 1, sugar is in many things you buy in a supermarket. You might also have to start cooking more often in order to avoid sugar loaded prepared meals, but you will see that it will be very much worth it. No need for crazy diets! Type 2 diabetes is a lifestyle related disorder, and therefore, in the big majority of the cases, it is completely preventable. Although in some cases genetics do play a role, the rapid increase in type 2 diabetes cases worldwide is mainly due to diet, and sugar is the main culprit to be blamed for in this disease as shown by many studies, for example [8-10]. Unfortunately, type 2 diabetes cases continue rising worldwide. It is a serious condition that can lead to complications such as blindness, gangrene, amputations, etc.. And do you think this disease affects only old people? Unfortunately, not. It starts affecting young children as well, which is quite revolting. But there is good news! Type 2 diabetes is not only preventable, but it can also be reversed!! Yes, you heard it right, there is quite solid scientific evidence that type 2 diabetes is reversible by dietary changes (for example, check these studies [11-16]). This has actually made headlines worldwide in the news, for example in CNN (article entitled “Reversing diabetes is possible”) . I would like to dedicate an entire post to diabetes and the studies that have been performed on how to reverse type 2 diabetes by dietary changes. It will come out soon, so stay tuned since this could be life-changing information for you or for some of your family members. Meanwhile, there is one thing that if you have diabetes you have to start doing right now: please stop eating refined sugar for good! Did you know that Alzheimer’s disease shares many similarities with diabetes? Some scientists have even started calling it “type 3 diabetes” [18, 19]. It is now known that in Alzheimer’s disease the brain glucose metabolism and insulin signaling is altered – this is a pathophysiological feature of this disease and this alteration may also be a critical contributor for the pathogenesis of Alzheimer’s [19, 20]. Like other cells in the body, it seems that neurons can also become insulin-resistant. A study published in the renown journal Neurology showed that people with diabetes have an increased risk to develop dementia and Alzheimer’s disease . In another study published in the same journal Neurology, researchers demonstrated that even if you are not diabetic, chronically high glucose levels are associated with lower memory, possibly due to a reduced hippocampal volume (the brain structure responsible for learning and cognition) . This means that your sugar intake could be affecting your brain health and cognitive abilities. Other studies have corroborated this findings. For example, in this recent study  published this year, they investigated the association between sugary beverage consumption and markers of Alzheimer’s disease in 4276 individuals. They found that an intake of sugary drinks was associated with lower total brain volume and poorer memory, concluding that these drinks are indeed associated with markers of Alzheimer’s disease . Of course there might as well be other causes of Alzheimer’s. In another post, we will go more in detail about the potential causes and things you could do to prevent it. A patient diagnosed with metabolic syndrome has 3 of the following signs: high body fat around the waist, hypertension (high blood pressure), high fasting glucose, low HDL cholesterol and high triglycerides. It was previously thought that all these conditions were unrelated. Now, it is known that all of those have a common cause. Guess what? Yes, sugar: too much sugar leads to insulin resistance and high circulating insulin levels, which is responsible for those symptoms. There are indeed many studies showing that a chronic fructose exposure alone promotes the metabolic syndrome (for example, [2, 24, 25]). What does hypertension have to do with gout? Uric acid. It is well known that purines found in animal products are broken down to uric acid. But did you know that uric acid is also a waste product of the metabolism of fructose? High uric acid values can lead to gout and hypertension, because it blocks the enzyme in the blood vessels that makes nitric oxide (the endothelial nitric oxide synthase) that is our endogenous blood pressure lowerer. So, when we can’t make this enzyme, the blood pressure goes up. Indeed, fructose consumption is strongly associated with high uric acid levels and blood pressure  and with an increased risk of gout . As I have written in Part 1, it is now widely recognized, including by the American Heart Association, that a high sugar consumption increases the risk for cardiovascular diseases [28, 29]. In addition, sugar has also been associated with an increased risk for stroke. In a study, they compared the stroke risk for consuming 1 serving of sugar-sweetened soda per day or low-calorie soda (with sweeteners) with consuming none, and they found that both sugar-sweetened and low-calorie sodas were associated with a significantly higher risk of stroke . Nonalcoholic fatty liver disease (NAFLD) is now the most common cause of chronic liver disease in the developed world . It is caused by an accumulation of fat in the liver. NAFLD is increasing in an alarming rate and it is a very serious condition that can progress and increase the risk of cirrhosis and liver cancer [32, 33]. So, why do we see so many people with altered liver values?! Could it be the sugar? It is known that fructose increases triglycerides and lipogenesis (synthesis of new fatty acids from non-lipid sources) in the liver in normal adults [34, 35]. Therefore, for our body, a high sugar diet is actually a high fat diet! In this study , after only 6 days of a high fructose diet, lipogenesis increased 6-fold and the triglycerides doubled ! But you don’t need to consume fructose for several days to get your triglycerides jumping: an acute intake of fructose already raises your triglycerides . Actually, there is scientific evidence that fast-food diets increase the liver enzyme alanine aminotransferase and triglycerides (in less than 1 month!) , and the risk of NAFLD . And what does fast food diet have? Lots of sugars, unhealthy fats and meat. In this study , the researchers showed that a higher intake of soft drinks and meat was significantly associated with an increased risk for NAFLD. Just one can of soda per day already increased by 45% the risk for NAFLD! But we will leave the topic of artificial sweeteners for another post. Depression is today on the rise, and no, depression is not only due to disturbances taking place in someone’s mind. It is now recognized that depression can be due to nutritional imbalances, such as a lack of certain vitamins, minerals, amino acids, essential fatty acids, disturbances in the gut microbiota, and unstable blood sugar levels as the brain needs a stable supply of glucose! Besides not providing any vitamins, sugar actually depletes our body from important vitamins such as the B vitamins (which are essential for mood), because it uses them for its catabolism . Indeed, for example vitamin B6 deficiency is quite common among depressed patients . A correlation between sugar consumption and the prevalence of depression has long been observed [42, 43]. In another study, including 1878 high-school students, it was found that people who drank regularly sugary drinks had higher depressive symptoms than the ones that didn’t drink any soda . Also, a relationship between diabetes and depression has been quite well documented, as shown in this review article that analyzed many other articles on the topic : people with diabetes have an increased prevalence of depression and vice-versa. So there must be an underlying common mechanism. Later on, we will publish an article about depression and nutritional approaches that could alleviate or even cure this condition. It is well known that cancer cells are primarily fueled by burning glucose (glycolysis) anaerobically (i.e., in the absence of oxygen) , as it was found by the Nobel-prize awarded Dr. Otto Warburg. Indeed, cancer cells incorporate and use higher amounts of glucose than normal cells . Sugar needed for the brain? Lots of people tell me “but you need sugar for your brain to function!”. It is true that the brain uses glucose as its main fuel. But if they mean the normal table sugar, this couldn’t be further from the truth. You can get glucose from other healthier sources, namely by consuming whole grains and raw honey. Also, the brain does not necessarily require glucose to function. It can use ketones instead of glucose for fuel. This will happen when your are fasting during many hours or when you don’t consume carbohydrates but plenty of healthy fats. Not only you don’t need refined sugar for your brain to function, but actually, studies have shown that sugar decreases your IQ and can also promote Alzheimer’s disease, as I mentioned above. 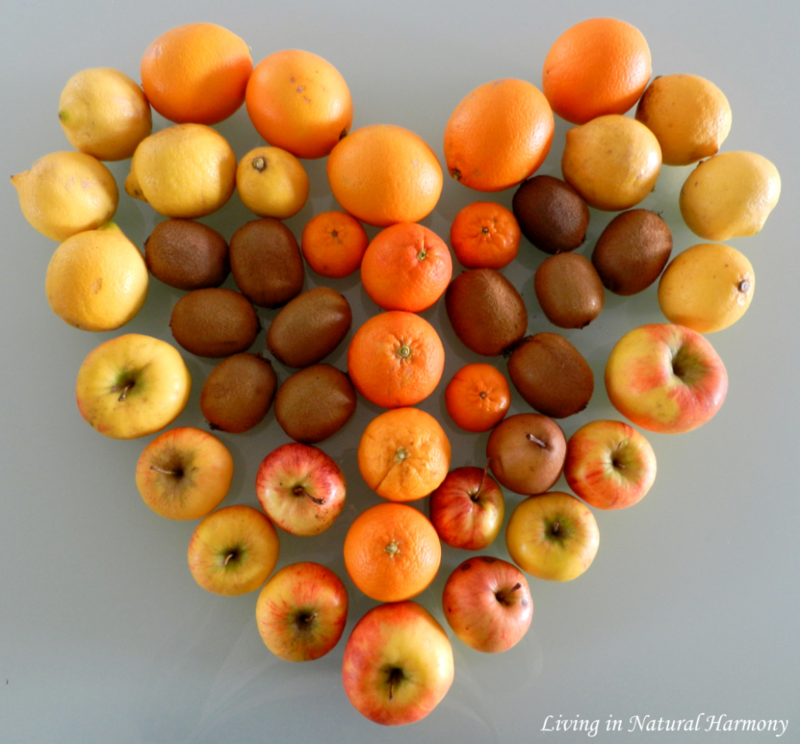 Is fructose in fruits better than refined fructose? Short answer: absolutely! There is a huge amount of evidence that the detrimental effects of fructose are limited to only industrial fructose, with absolutely no evidence for a negative effect of fruit fructose whatsoever . Actually quite on the contrary, only refined fructose, not fruit fructose, is associated with declining liver function , hypertension, metabolic syndrome and diabetes . Another study compared the effect of 2 diets – restricting any fructose (from both fruits and industrial sugars) versus a moderate natural fructose diet – on weight loss and metabolic syndrome during 6 weeks. Both groups lost weight, but surprisingly, weight loss was higher in the moderate natural fructose group than in the low (or no) fructose group !! Also, another study showed that there is a significant rise in type 2 diabetes prevalence with increased intake of soft drinks, while interestingly this does not happen with fruit consumption . Why doesn’t the fructose in fruits have the same negative impact on our health as the industrial fructose? This has been argued to be due to the positive effects of other nutrients present in fruits, such as fibers and antioxidants . Besides, if your fructose intake is just from fruits, I suspect it will be difficult to exceed the recommended daily intake. A study compared the insulin response to the ingestion of a glass of water with 35g of sugar with the ingestion of the same sugary water with 1) whole berries or 2) berry juice . Of course, the sugary water caused a blood sugar and insulin spike in the first 30min after intake followed by a hypoglycaemic period (1h-2h after intake). In response, free fatty acids were released into the bloodstream, because the body thinks it is starving since the blood sugar dropped so suddenly, even below fasting levels. However, when they added blended whole berries to the sugary water, and although berries have sugar by their own (so people were consuming even more sugar), the blood sugar spike was smaller, and most importantly, there was no hypoglycemic period and no free fatty acids released into the bloodstream! The authors attributed this difference to the decreased stomach emptying compared to only sugary water, and also to the soluble fibers (which reduce postprandial glucose response by increasing viscosity in the gastrointestinal tract and thereby interfering with the release and absorption of sugars). In order to check whether the positive effect of the berries were only due to the fiber, they repeated the experiment using berry juice instead of the whole fruits along with the sugary water. They found that 15 min after the drink intake, the glucose response was significantly reduced by the whole berries but not by the juice. However, all the other beneficial responses (glucose and free fatty acid levels) in the period after were pretty much the same for both the whole berries and the juice experiment. This suggests that there are phytonutrients present in fruits that inhibit the transportation of sugars to the intestinal wall and into our bloodstream. Indeed, other studies also showed that polyphenols and phenolic acids from fruits can block some of the uptake of sugar by the cells lining our intestines . Interestingly, the glucose in presence of fructose (as it happens in industrial sugars such as sucrose or high fructose corn syrup) might even increase fructose absorption, making therefore industrial sugars super unhealthy . “Consumption of free sugars, including products like sugary drinks, is a major factor in the global increase of people suffering from obesity and diabetes…If governments tax products like sugary drinks, they can reduce suffering and save lives. They can also cut healthcare costs and increase revenues to invest in health services.” . “Nutritionally, people don’t need any sugar in their diet. WHO recommends that if people do consume free sugars, they keep their intake below 10% of their total energy needs, and reduce it to less than 5% for additional health benefits. This is equivalent to less than a single serving (at least 250 ml) of commonly consumed sugary drinks per day.” . This means that if you want to keep your sugar intake below what the WHO recommends, you cannot drink an entire can of soda per day, given that it would contain already too much sugar! What can you do about it? If you cannot eat sugar, what can you eat instead? – check always the ingredients list to be informed about what you are eating. This is so important!! – if there is anything in the list that you cannot pronounce or that you never heard about, don’t buy it. If it’s not sugar it’s likely artificial additives such as sweeteners (more on this topic in a future post – but just for you to know, science has shown that they are not any better than refined sugar, actually some of them can even be worse). – start cooking more often instead of buying prepared meals. Cook real food with plenty of vegetables. – you can replace sugar by natural sweeteners such as organic raw honey and dried fruits (dates, raisins, figs, etc…). For example, if you enjoy your coffee only with sugar in, put a little bit of organic raw honey instead. This holds for anything you are adding sugar to. If you wish to make a “normal” cake, you still can make one by just replacing sugar by organic honey or dried fruits. I personally prefer not to heat up the honey or fruits too much, but you can start off by doing it since you are replacing sugar. I do believe doing this is already much better than table sugar. Use half of the amount of sugar for honey: for instance, if the recipe says 100g of sugar, put 50g of honey instead. Note about the honey: Be careful about the type of honey you buy, as not all honeys are healthy. Many have already been heated, processed and some even mixed with sugar. So look at the list of ingredients of the honey and make sure it is also raw and organic. – Check the references at the end of these two posts (Part 1 and Part2), watch documentaries, read books, etc in order to get more information. When I decided to investigate more about sugar, one of the books I read, and that was particularly eyes-opening for me, was the “Sugar Blues” by William Dufty (it was written in the 70’s but the information is still quite up-to-date). There are also very good documentaries out there. Certain people report some withdrawal symptoms when quitting sugar (as I showed you in Part 1, sugar is extremely addictive), but then, after a while, I promise you that you will feel much better and with much more energy. And your sugar cravings will decrease and eventually stop. Also, with time, you will feel that you don’t like sugar sweetened food anymore. Your taste really changes. Some years ago an event happened that made me realize that I actually don’t like “normal” sugary foods anymore, such as ice-creams or cakes. They are just too sweet for me now. I went to an event in Lisbon in which you basically can get a whole menu in a very fine restaurant for a very cheap price. The menu included an ice-cream for dessert. So, I decided to try it for once after a long time. I was so surprised to realize after my first bite that it was just awful for me. It was too sweet and it was simply terrible for me. In the past, I would have never imagined that one day I would say that I don’t like “normal” ice-creams! Well, I say “normal”, because I still love our homemade ice-creams :). Be aware that there are many sugars being sold nowadays as “healthier” alternatives, but please don’t be fooled by their advertisements. A refined sugar is a refined sugar, no matter if it comes from the sugar cane or another plant, or if it is organic. As I mentioned in Part 1, because sugar is addictive and we don’t know what a moderate amount really means for each of us, we should avoid eating it. I do recognize that this is not always easy, so don’t feel guilty if here and there you eat something with sugar. For example, it can happen that you go to a friend’s house and she/he has baked a cake specially for you, and of course you feel bad if you don’t eat a piece (but it’s good to start telling people that you don’t eat sugar to avoid this embarassing situations). Or you go to a restaurant and sugar is added into your meal. 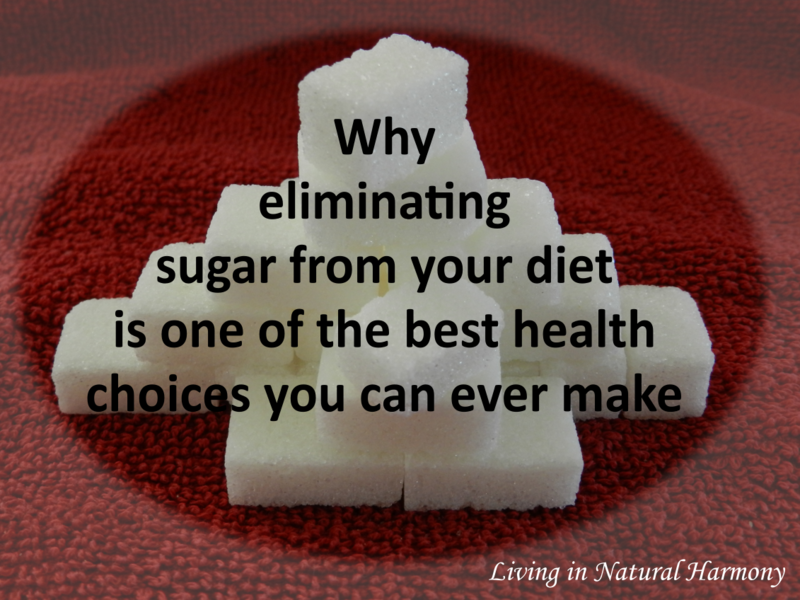 But if you aim to consume no sugar at least in the things you have control over, namely what you buy and eat at home, it is already a huge change. When you go out, you can just say no to anything that obviously contains sugar. And if once per year you eat your favorite cookie of course that’s fine (per year or per several months, not per week since the addiction cannot be overcome like that). Please leave your comments or questions below and share these articles with everyone! Let’s spread awareness on this topic! You can also subscribe to our blog to receive every week a newsletter with our most recent articles! R. J. Johnson, M. S. Segal, Y. Sautin, T. Nakagawa, D. I. Feig, D. H. Kang, M. S. Gersch, S. Benner, and L. G. Sanchez-Lozada, “Potential role of sugar (fructose) in the epidemic of hypertension, obesity and the metabolic syndrome, diabetes, kidney disease, and cardiovascular disease,” Am J Clin Nutr, vol. 86, no. 4, pp. 899-906, Oct, 2007. W. H. Organization, “Fact sheet: Obesity and overweight,” 2016. J. Kim, K. E. Peterson, K. S. Scanlon, G. M. Fitzmaurice, A. Must, E. Oken, S. L. Rifas-Shiman, J. W. Rich-Edwards, and M. W. Gillman, “Trends in overweight from 1980 through 2001 among preschool-aged children enrolled in a health maintenance organization,” Obesity (Silver Spring), vol. 14, no. 7, pp. 1107-12, Jul, 2006. D. S. Ludwig, K. E. Peterson, and S. L. Gortmaker, “Relation between consumption of sugar-sweetened drinks and childhood obesity: a prospective, observational analysis,” Lancet, vol. 357, no. 9255, pp. 505-8, Feb 17, 2001. L. R. Vartanian, M. B. Schwartz, and K. D. Brownell, “Effects of soft drink consumption on nutrition and health: a systematic review and meta-analysis,” Am J Public Health, vol. 97, no. 4, pp. 667-75, Apr, 2007. J. James, P. Thomas, D. Cavan, and D. Kerr, “Preventing childhood obesity by reducing consumption of carbonated drinks: cluster randomised controlled trial,” BMJ, vol. 328, no. 7450, pp. 1237, May 22, 2004. M. B. Schulze, J. E. Manson, D. S. Ludwig, G. A. Colditz, M. J. Stampfer, W. C. Willett, and F. B. Hu, “Sugar-sweetened beverages, weight gain, and incidence of type 2 diabetes in young and middle-aged women,” JAMA, vol. 292, no. 8, pp. 927-34, Aug 25, 2004. K. L. Stanhope, J. M. Schwarz, and P. J. Havel, “Adverse metabolic effects of dietary fructose: results from the recent epidemiological, clinical, and mechanistic studies,” Curr Opin Lipidol, vol. 24, no. 3, pp. 198-206, Jun, 2013. G. A. Bray, and B. M. Popkin, “Dietary sugar and body weight: have we reached a crisis in the epidemic of obesity and diabetes? : health be damned! Pour on the sugar,” Diabetes Care, vol. 37, no. 4, pp. 950-6, Apr, 2014. C. W. Cheng, V. Villani, R. Buono, M. Wei, S. Kumar, O. H. Yilmaz, P. Cohen, J. B. Sneddon, L. Perin, and V. D. Longo, “Fasting-Mimicking Diet Promotes Ngn3-Driven beta-Cell Regeneration to Reverse Diabetes,” Cell, vol. 168, no. 5, pp. 775-788 e12, Feb 23, 2017. S. Steven, E. L. Lim, and R. Taylor, “Dietary reversal of Type 2 diabetes motivated by research knowledge,” Diabet Med, vol. 27, no. 6, pp. 724-5, Jun, 2010. E. L. Lim, K. G. Hollingsworth, B. S. Aribisala, M. J. Chen, J. C. Mathers, and R. Taylor, “Reversal of type 2 diabetes: normalisation of beta cell function in association with decreased pancreas and liver triacylglycerol,” Diabetologia, vol. 54, no. 10, pp. 2506-14, Oct, 2011. R. Taylor, “Pathogenesis of type 2 diabetes: tracing the reverse route from cure to cause,” Diabetologia, vol. 51, no. 10, pp. 1781-9, Oct, 2008. R. Taylor, “Banting Memorial lecture 2012: reversing the twin cycles of type 2 diabetes,” Diabet Med, vol. 30, no. 3, pp. 267-75, Mar, 2013. D. Dunaief, J. Fuhrman, J. Dunaief, and G. Ying, “Glycemic and cardiovascular parameters improved in type 2 diabetes with the high nutrient density (HND) diet,” Open Journal of Preventive Medicine, vol. 2, no. 3, pp. 364-371, 2012. S. M. de la Monte, and J. R. Wands, “Alzheimer’s disease is type 3 diabetes-evidence reviewed,” J Diabetes Sci Technol, vol. 2, no. 6, pp. 1101-13, Nov, 2008. E. Steen, B. M. Terry, E. J. Rivera, J. L. Cannon, T. R. Neely, R. Tavares, X. J. Xu, J. R. Wands, and S. M. de la Monte, “Impaired insulin and insulin-like growth factor expression and signaling mechanisms in Alzheimer’s disease–is this type 3 diabetes?,” J Alzheimers Dis, vol. 7, no. 1, pp. 63-80, Feb, 2005. Z. Chen, and C. Zhong, “Decoding Alzheimer’s disease from perturbed cerebral glucose metabolism: implications for diagnostic and therapeutic strategies,” Prog Neurobiol, vol. 108, pp. 21-43, Sep, 2013. T. Ohara, Y. Doi, T. Ninomiya, Y. Hirakawa, J. Hata, T. Iwaki, S. Kanba, and Y. Kiyohara, “Glucose tolerance status and risk of dementia in the community: the Hisayama study,” Neurology, vol. 77, no. 12, pp. 1126-34, Sep 20, 2011. L. Kerti, A. V. Witte, A. Winkler, U. Grittner, D. Rujescu, and A. Floel, “Higher glucose levels associated with lower memory and reduced hippocampal microstructure,” Neurology, vol. 81, no. 20, pp. 1746-52, Nov 12, 2013. M. P. Pase, J. J. Himali, P. F. Jacques, C. DeCarli, C. L. Satizabal, H. Aparicio, R. S. Vasan, A. S. Beiser, and S. Seshadri, “Sugary beverage intake and preclinical Alzheimer’s disease in the community,” Alzheimers Dement, Mar 06, 2017. K. A. Le, and L. Tappy, “Metabolic effects of fructose,” Curr Opin Clin Nutr Metab Care, vol. 9, no. 4, pp. 469-75, Jul, 2006. A. C. Rutledge, and K. Adeli, “Fructose and the metabolic syndrome: pathophysiology and molecular mechanisms,” Nutr Rev, vol. 65, no. 6 Pt 2, pp. S13-23, Jun, 2007. S. Nguyen, H. K. Choi, R. H. Lustig, and C. Y. Hsu, “Sugar-sweetened beverages, serum uric acid, and blood pressure in adolescents,” J Pediatr, vol. 154, no. 6, pp. 807-13, Jun, 2009. H. K. Choi, and G. Curhan, “Soft drinks, fructose consumption, and the risk of gout in men: prospective cohort study,” BMJ, vol. 336, no. 7639, pp. 309-12, Feb 09, 2008. Q. Yang, Z. Zhang, E. W. Gregg, W. D. Flanders, R. Merritt, and F. B. Hu, “Added sugar intake and cardiovascular diseases mortality among US adults,” JAMA Intern Med, vol. 174, no. 4, pp. 516-24, Apr, 2014. R. K. Johnson, L. J. Appel, M. Brands, B. V. Howard, M. Lefevre, R. H. Lustig, F. Sacks, L. M. Steffen, J. Wylie-Rosett, P. A. American Heart Association Nutrition Committee of the Council on Nutrition, Metabolism, E. the Council on, and Prevention, “Dietary sugars intake and cardiovascular health: a scientific statement from the American Heart Association,” Circulation, vol. 120, no. 11, pp. 1011-20, Sep 15, 2009. A. M. Bernstein, L. de Koning, A. J. Flint, K. M. Rexrode, and W. C. Willett, “Soda consumption and the risk of stroke in men and women,” Am J Clin Nutr, vol. 95, no. 5, pp. 1190-9, May, 2012. E. M. McCarthy, and M. E. Rinella, “The role of diet and nutrient composition in nonalcoholic Fatty liver disease,” J Acad Nutr Diet, vol. 112, no. 3, pp. 401-9, Mar, 2012. G. Targher, and C. D. Byrne, “Non-alcoholic fatty liver disease: an emerging driving force in chronic kidney disease,” Nat Rev Nephrol, vol. 13, no. 5, pp. 297-310, May, 2017. K. Ray, “NAFLD-the next global epidemic,” Nat Rev Gastroenterol Hepatol, vol. 10, no. 11, pp. 621, Nov, 2013. M. K. Hellerstein, J. M. Schwarz, and R. A. Neese, “Regulation of hepatic de novo lipogenesis in humans,” Annu Rev Nutr, vol. 16, pp. 523-57, 1996. D. Faeh, K. Minehira, J. M. Schwarz, R. Periasamy, S. Park, and L. Tappy, “Effect of fructose overfeeding and fish oil administration on hepatic de novo lipogenesis and insulin sensitivity in healthy men,” Diabetes, vol. 54, no. 7, pp. 1907-13, Jul, 2005. E. J. Parks, L. E. Skokan, M. T. Timlin, and C. S. Dingfelder, “Dietary sugars stimulate fatty acid synthesis in adults,” J Nutr, vol. 138, no. 6, pp. 1039-46, Jun, 2008. S. Kechagias, A. Ernersson, O. Dahlqvist, P. Lundberg, T. Lindstrom, F. H. Nystrom, and G. Fast Food Study, “Fast-food-based hyper-alimentation can induce rapid and profound elevation of serum alanine aminotransferase in healthy subjects,” Gut, vol. 57, no. 5, pp. 649-54, May, 2008. S. Zelber-Sagi, D. Nitzan-Kaluski, R. Goldsmith, M. Webb, L. Blendis, Z. Halpern, and R. Oren, “Long term nutritional intake and the risk for non-alcoholic fatty liver disease (NAFLD): a population based study,” J Hepatol, vol. 47, no. 5, pp. 711-7, Nov, 2007. W. Nseir, F. Nassar, and N. Assy, “Soft drinks consumption and nonalcoholic fatty liver disease,” World J Gastroenterol, vol. 16, no. 21, pp. 2579-88, Jun 07, 2010. P. Holford, “Depression: the nutrition connection,” Primary Care Mental Health, vol. 1, pp. 9-16, 2003. M. Fava, J. S. Borus, J. E. Alpert, and e. al., “Folate, vitamin B12 and homocysteine in major depressive disorder,” American Journal of Psychiatry, vol. 254, pp. 426-8, 1997. A. N. Westover, and L. B. Marangell, “A cross-national relationship between sugar consumption and major depression?,” Depress Anxiety, vol. 16, no. 3, pp. 118-20, 2002. J. E. Gangwisch, L. Hale, L. Garcia, D. Malaspina, M. G. Opler, M. E. Payne, R. C. Rossom, and D. Lane, “High glycemic index diet as a risk factor for depression: analyses from the Women’s Health Initiative,” Am J Clin Nutr, vol. 102, no. 2, pp. 454-63, Aug, 2015. R. Pabayo, J. Dias, D. Hemenway, and B. E. Molnar, “Sweetened beverage consumption is a risk factor for depressive symptoms among adolescents living in Boston, Massachusetts, USA,” Public Health Nutr, vol. 19, no. 17, pp. 3062-3069, Dec, 2016. L. E. Egede, and C. Ellis, “Diabetes and depression: global perspectives,” Diabetes Res Clin Pract, vol. 87, no. 3, pp. 302-12, Mar, 2010. J. W. Kim, and C. V. Dang, “Cancer’s molecular sweet tooth and the Warburg effect,” Cancer Res, vol. 66, no. 18, pp. 8927-30, Sep 15, 2006. M. B. Calvo, A. Figueroa, E. G. Pulido, R. G. Campelo, and L. A. Aparicio, “Potential role of sugar transporters in cancer and their relationship with anticancer therapy,” Int J Endocrinol, vol. 2010, 2010. Y. Onodera, J. M. Nam, and M. J. Bissell, “Increased sugar uptake promotes oncogenesis via EPAC/RAP1 and O-GlcNAc pathways,” J Clin Invest, vol. 124, no. 1, pp. 367-84, Jan, 2014. H. Liu, D. Huang, D. L. McArthur, L. G. Boros, N. Nissen, and A. P. Heaney, “Fructose induces transketolase flux to promote pancreatic cancer growth,” Cancer Res, vol. 70, no. 15, pp. 6368-76, Aug 01, 2010. H. Liu, and A. P. Heaney, “Refined fructose and cancer,” Expert Opin Ther Targets, vol. 15, no. 9, pp. 1049-59, Sep, 2011. S. Petta, G. Marchesini, L. Caracausi, F. S. Macaluso, C. Camma, S. Ciminnisi, D. Cabibi, R. Porcasi, A. Craxi, and V. Di Marco, “Industrial, not fruit fructose intake is associated with the severity of liver fibrosis in genotype 1 chronic hepatitis C patients,” J Hepatol, vol. 59, no. 6, pp. 1169-76, Dec, 2013. R. J. Johnson, T. Nakagawa, L. G. Sanchez-Lozada, M. Shafiu, S. Sundaram, M. Le, T. Ishimoto, Y. Y. Sautin, and M. A. Lanaspa, “Sugar, uric acid, and the etiology of diabetes and obesity,” Diabetes, vol. 62, no. 10, pp. 3307-15, Oct, 2013. M. Madero, J. C. Arriaga, D. Jalal, C. Rivard, K. McFann, O. Perez-Mendez, A. Vazquez, A. Ruiz, M. A. Lanaspa, C. R. Jimenez, R. J. Johnson, and L. G. Lozada, “The effect of two energy-restricted diets, a low-fructose diet versus a moderate natural fructose diet, on weight loss and metabolic syndrome parameters: a randomized controlled trial,” Metabolism, vol. 60, no. 11, pp. 1551-9, Nov, 2011. J. R. Palmer, D. A. Boggs, S. Krishnan, F. B. Hu, M. Singer, and L. Rosenberg, “Sugar-sweetened beverages and incidence of type 2 diabetes mellitus in African American women,” Arch Intern Med, vol. 168, no. 14, pp. 1487-92, Jul 28, 2008. R. Torronen, M. Kolehmainen, E. Sarkkinen, H. Mykkanen, and L. Niskanen, “Postprandial glucose, insulin, and free fatty acid responses to sucrose consumed with blackcurrants and lingonberries in healthy women,” Am J Clin Nutr, vol. 96, no. 3, pp. 527-33, Sep, 2012. S. Manzano, and G. Williamson, “Polyphenols and phenolic acids from strawberry and apple decrease glucose uptake and transport by human intestinal Caco-2 cells,” Mol Nutr Food Res, vol. 54, no. 12, pp. 1773-80, Dec, 2010. W. H. Organization. “WHO urges global action to curtail consumption and health impacts of sugary drinks,” http://www.who.int/mediacentre/news/releases/2016/curtail-sugary-drinks/en/. D. G. Aaron, and M. B. Siegel, “Sponsorship of National Health Organizations by Two Major Soda Companies,” Am J Prev Med, vol. 52, no. 1, pp. 20-30, Jan, 2017. Good article and thanks for sharing your knowledge. I found you through Dr. mercola’s site. I like the way you make your blog understandable and informative with facts. More please ! Thank you so much Jennifer 🙂 More is coming for sure! Lately I have been quite busy in my neuroscience research job, but I would love to dedicate more time to write articles in the blog. There are many very relevant topics that I want to write about.